Facebook has issued an apology over the controversial psychological experiments carried out on 689,000 users without their consent in 2012. The experiments, conducted with two US universities, only came to light with the recent publication of the study report, prompting outrage from Facebook users, academics and regulators. Earlier this week, the UK’s Information Commissioner’s Office said that it planned to investigate whether the experiments broke data protection laws. Labour MP Jim Sheridan, a member of the Commons media select committee, has called for a parliamentary investigation into how Facebook and other social networks manipulate the emotional and psychological responses of users by editing information supplied to them. 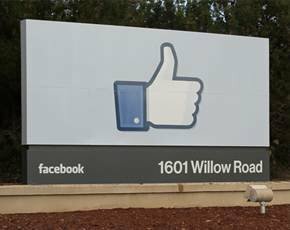 The 2012 experiments filtered the news feeds of users to study the effects of positive and negative emotional content from Facebook friends, prompting concerns about the effect such studies could have. The study has also raised fears that the process could be used for political purposes or to boost social media advertising revenues. In the face of growing criticism, Facebook chief operating officer Sheryl Sandberg said the experiments were part of ongoing product research by companies. “That is what it was; it was poorly communicated,” she said while on a visit to New Delhi. “And for that communication we apologise. We never meant to upset you. Sandberg’s statement marks a climbdown by Facebook given the company’s earlier insistence that the experiment was covered by its terms of service, as the Guardian newspaper pointed out. The social networking firm insisted there had been “no unnecessary collection of people's data” and that “none of the data used was associated with a specific person’s Facebook account”. However, the Guardian noted that Facebook changed its terms and conditions to allow data to be used for research only four months after conducting the mood-influencing experiments. Those changes were made after Facebook settled a complaint from the Federal Trade Commission (FTC) about “unfair and deceptive” privacy practices. Facebook responded with a statement that said: “When someone signs up for Facebook, we’ve always asked permission to use their information to provide and enhance the services we offer. To suggest we conducted any corporate research without permission is complete fiction. As Facebook now seeks to quell the criticism, a former employee has revealed that the social network’s data science department operated with few boundaries. Ledvina, a Facebook data scientist from February 2012 to July 2013. recalled a minor experiment in which he and a product manager ran a test without telling anyone else at the company. Since its creation in 2007, Facebook’s data science group is believed to have run hundreds of tests, exploring topics such as how families communicate and the causes of loneliness. But Facebook told the Wall Street Journal that since the controversial study on emotions, the company has implemented stricter guidelines for research and introduced a review panel. Facebook has a responsibility to now inform all 690,000 subjects of its mood-altering experiment, plus the unknown number of subjects of other experiments, that they were subjects of said experiments. Ethically, they must give the subjects the right to withdraw their data from the study.